It is time to sign up for your spot for the next Emich Track Day! This event is always an amazing time and it has been known to sell out! Don’t miss out….secure your spot today! Choose from full day ($125), morning session ($70), or afternoon session ($90). Prices are per driver and not per vehicle. There will be a mandatory driver’s meeting that everyone must attend before being allowed on the track. More information is available here, along with the event registration. 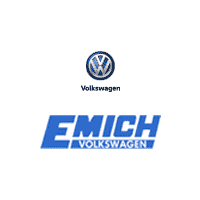 If you have questions about Emich Track Day, please contact the helpful staff at Emich Volkswagen in Denver.